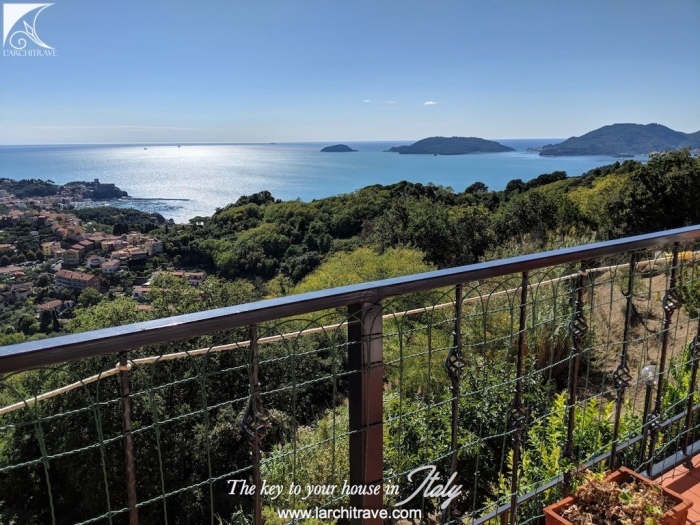 Exceptional villa overlooking Lerici and the Bay of Poets. 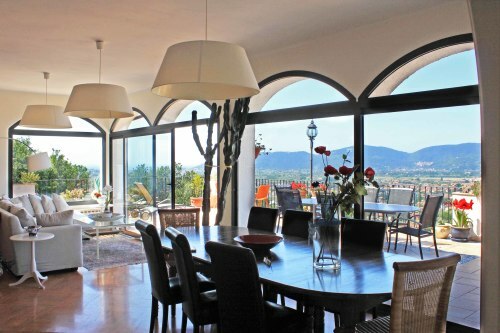 The villa is in immaculate condition: 7 bedrooms, 5 bathrooms and ample reception space. 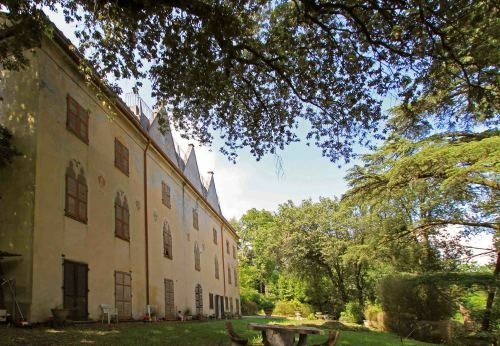 Land of 7,000 sqm and garage. 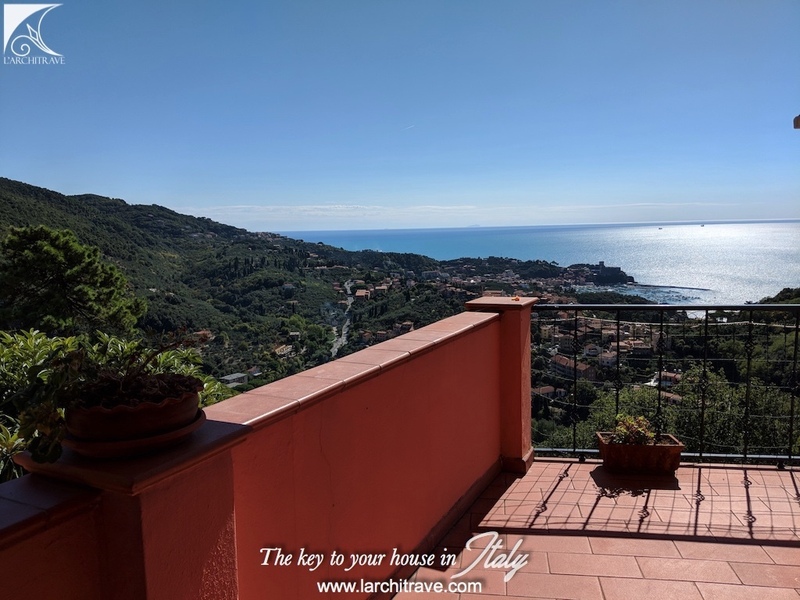 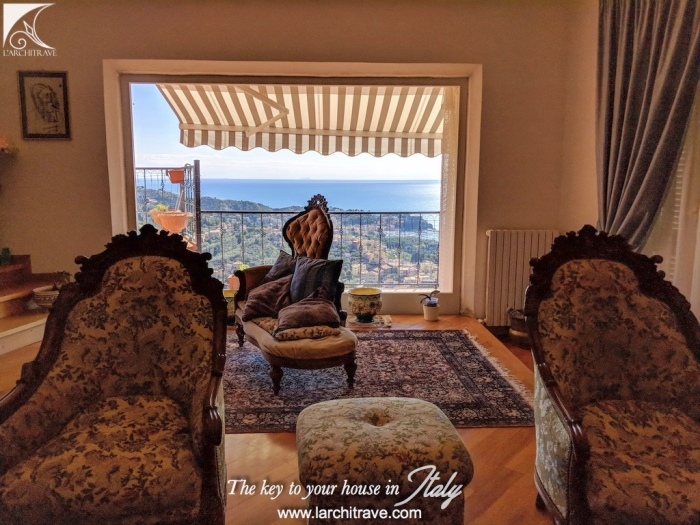 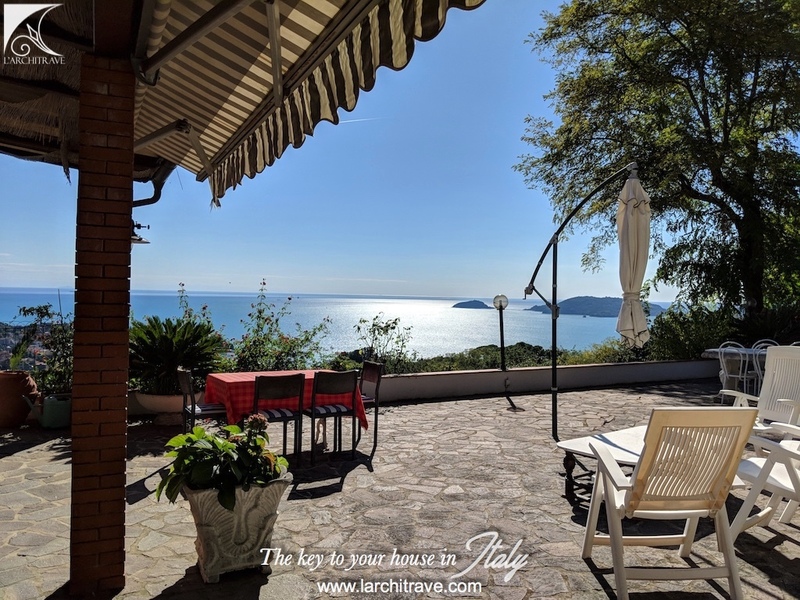 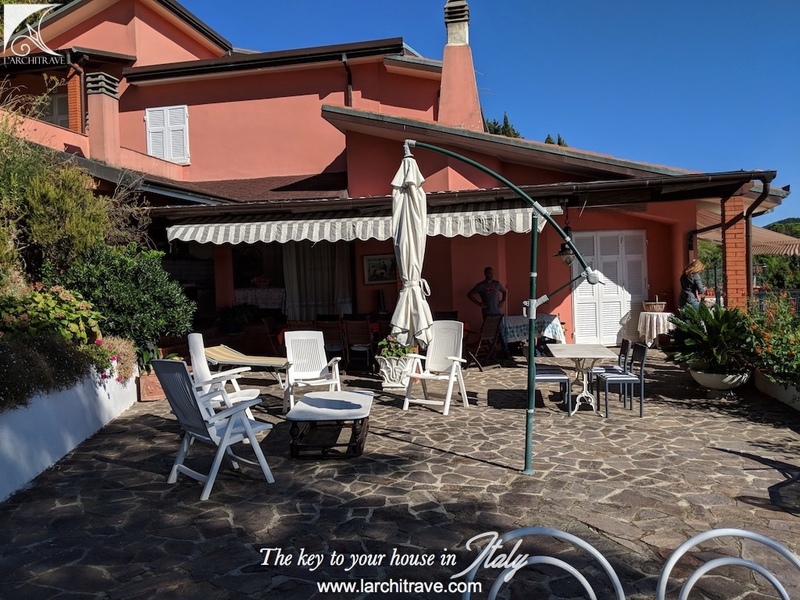 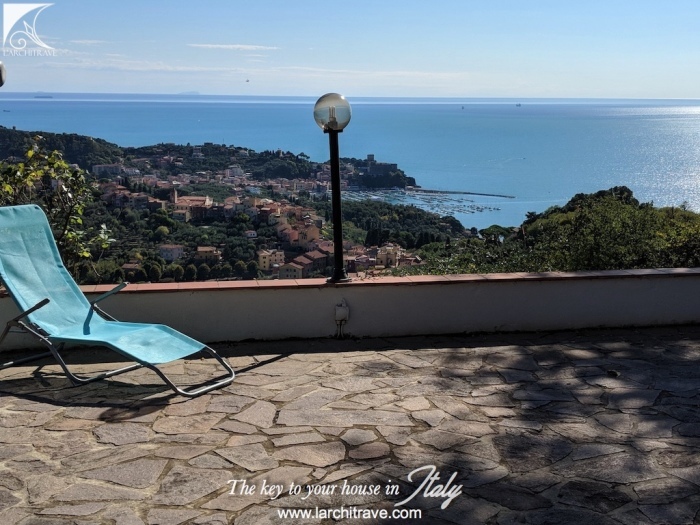 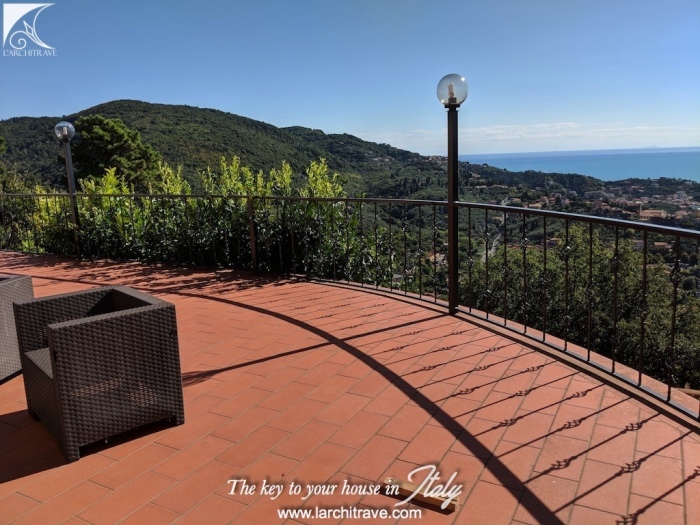 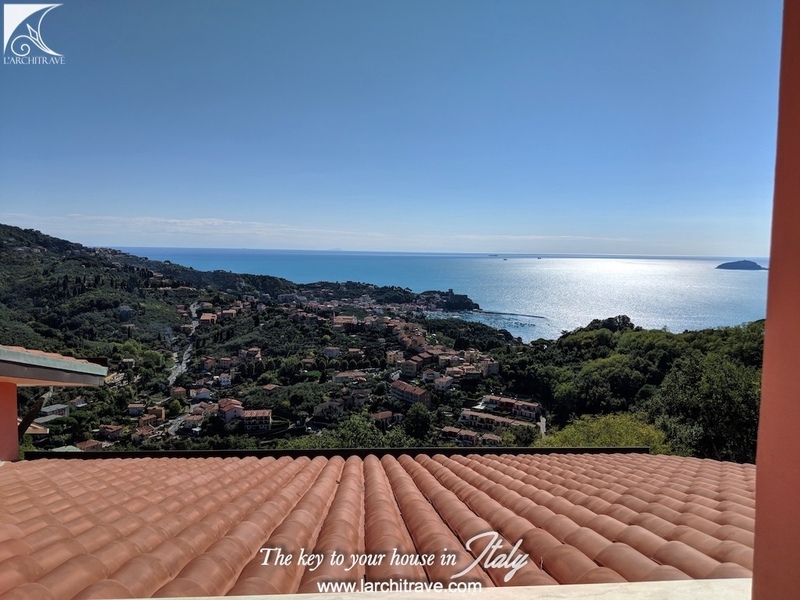 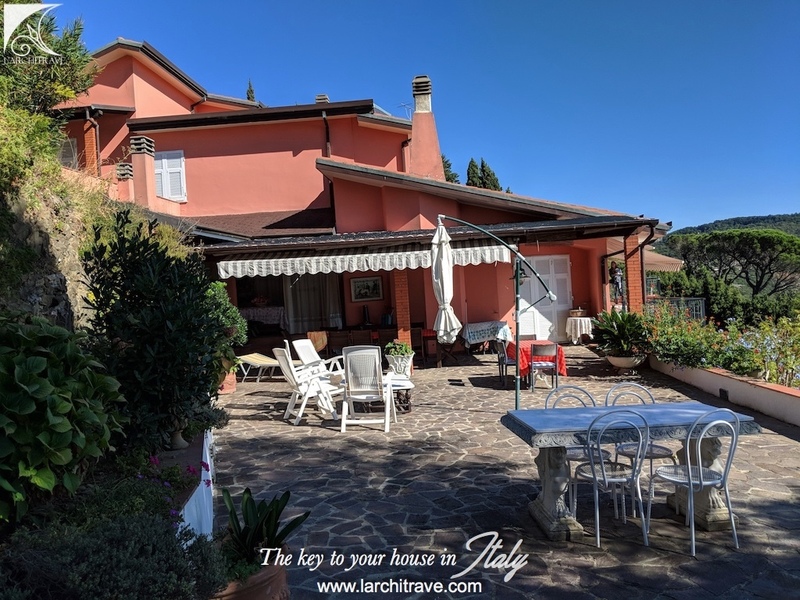 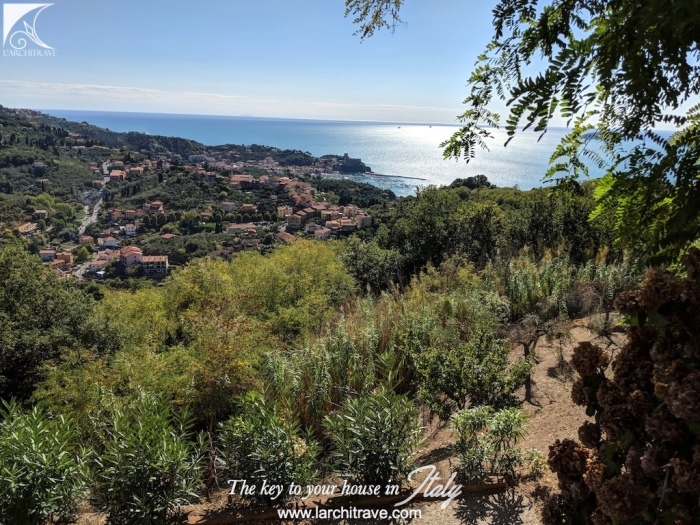 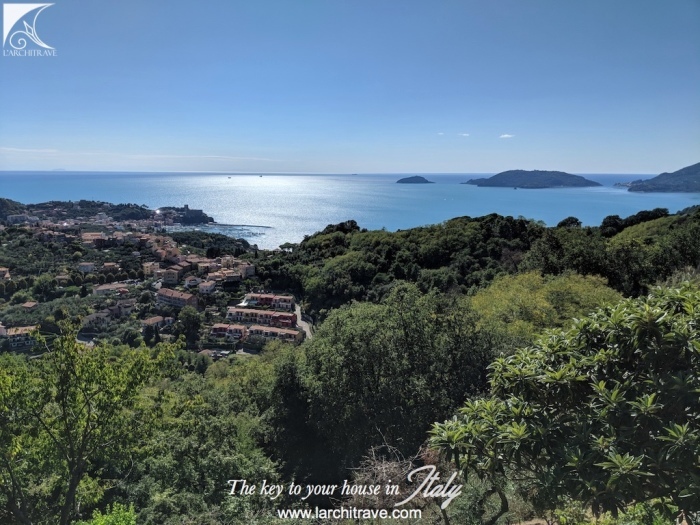 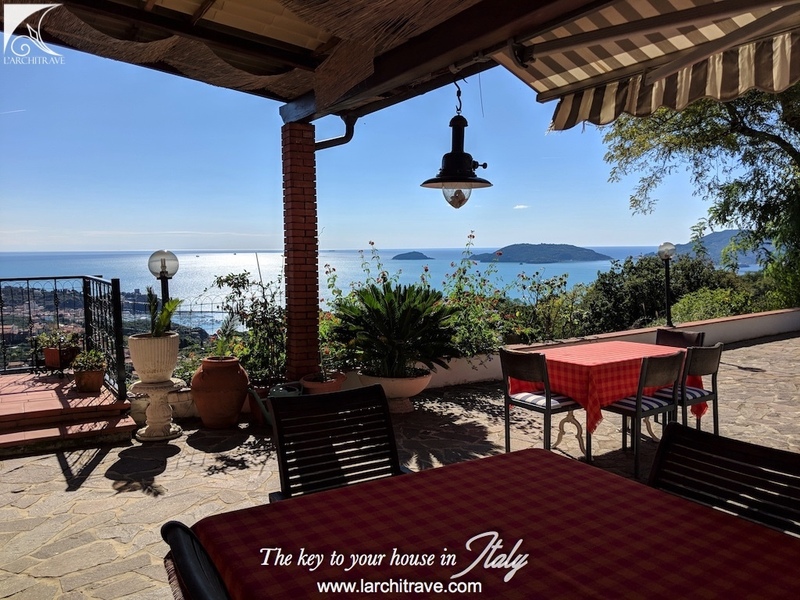 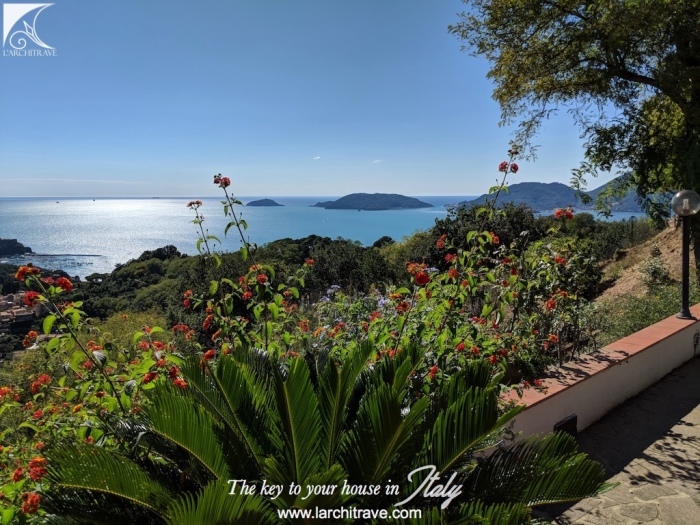 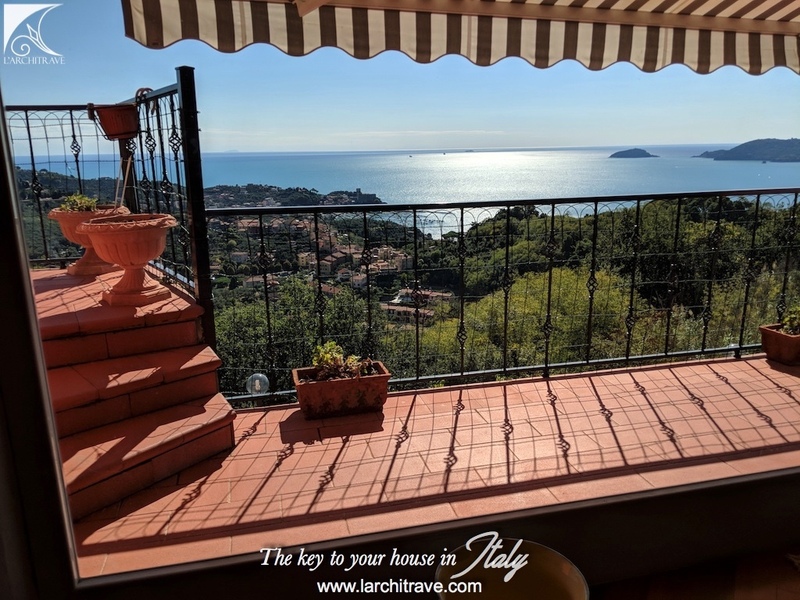 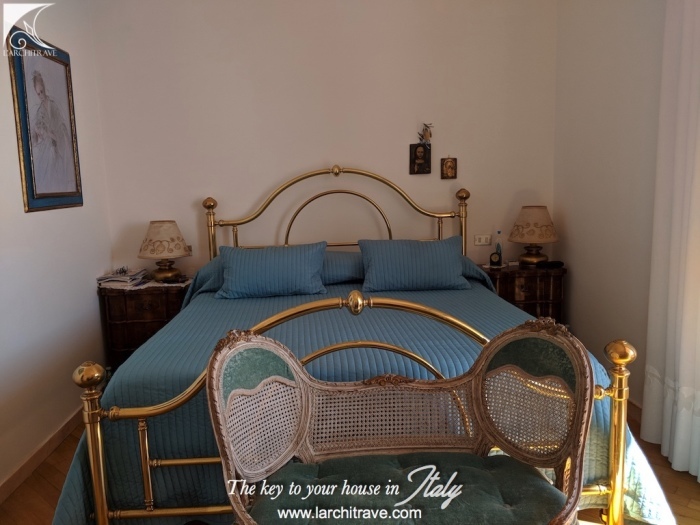 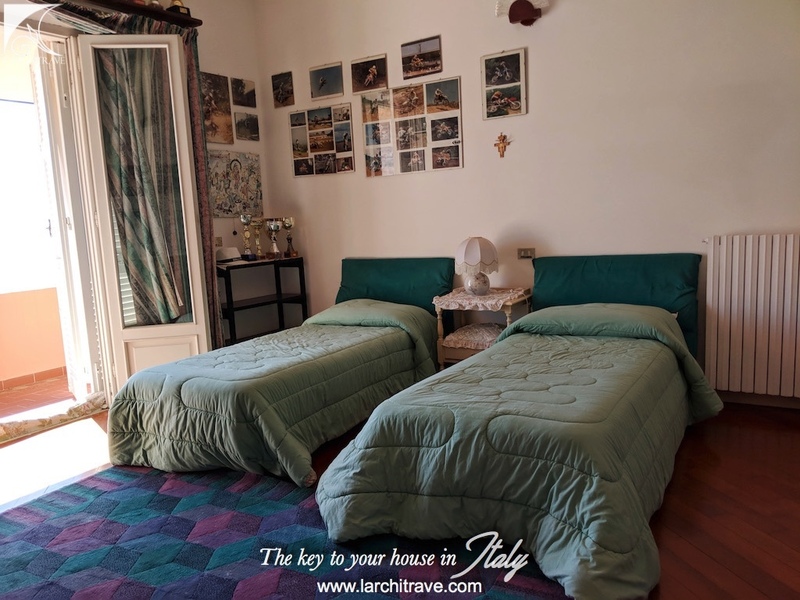 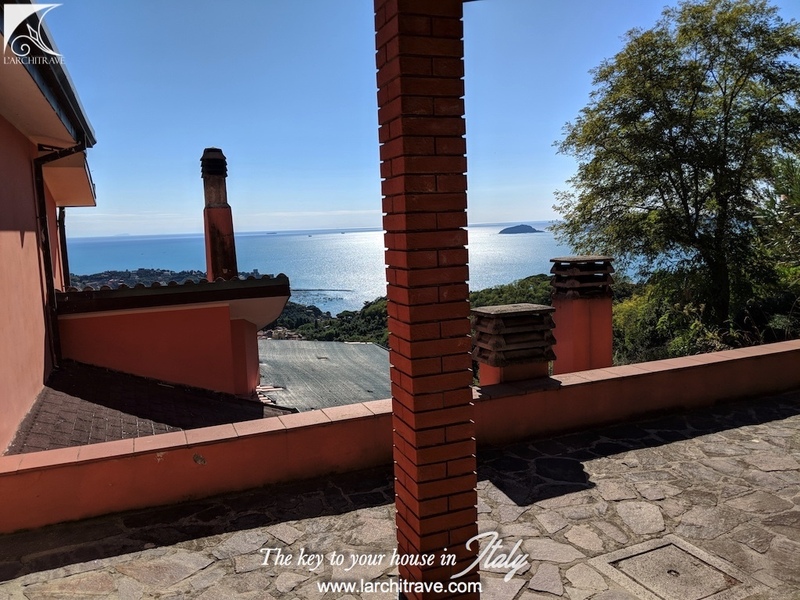 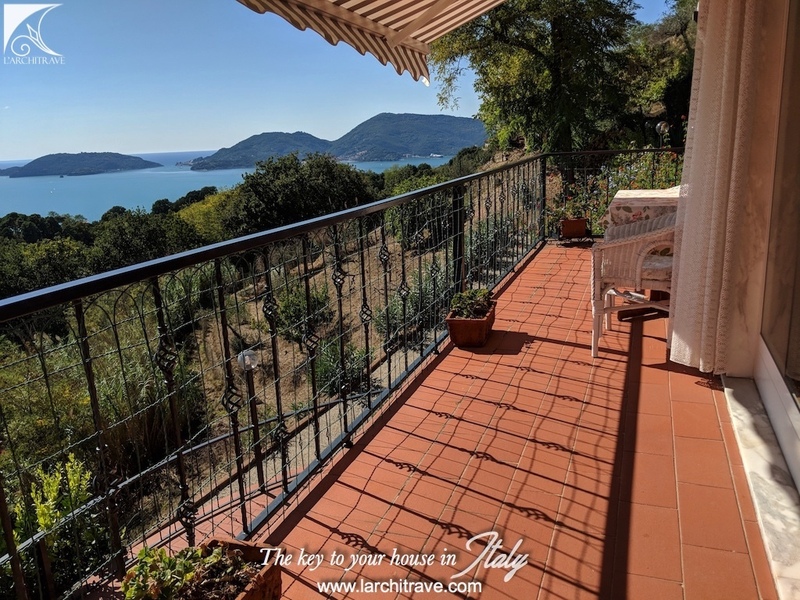 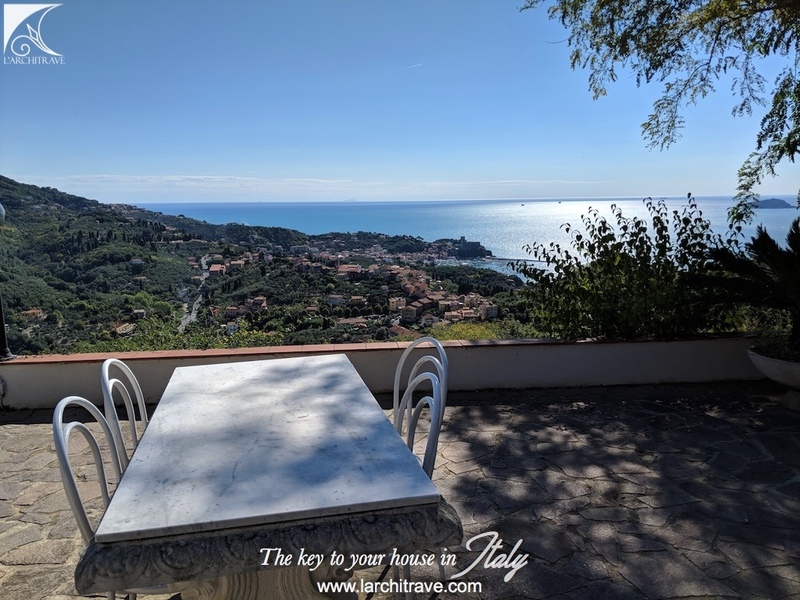 Beautiful villa with a breathtaking sea view over 'Il Golfo dei Poeti', near Lerici. 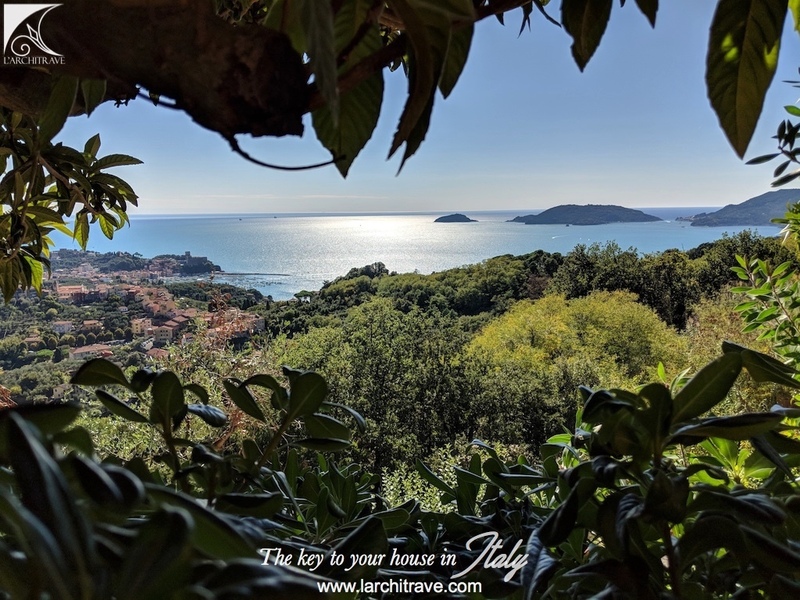 The islands of Palmaria and Tino are clearly visible, together with Portovenere. The Cinque Terre just over the hill. 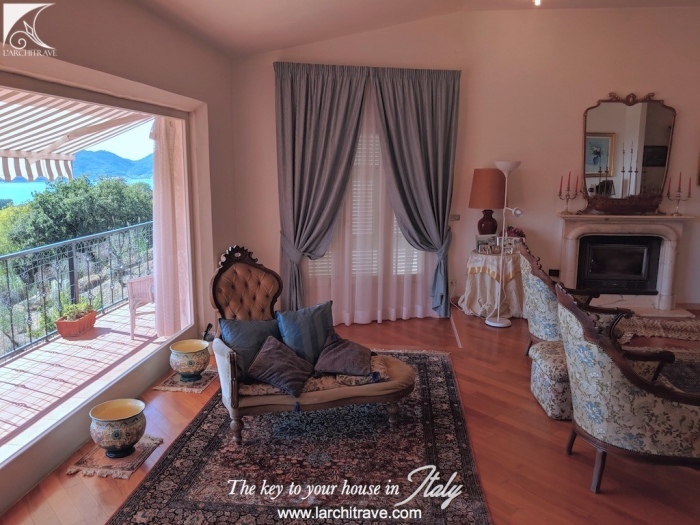 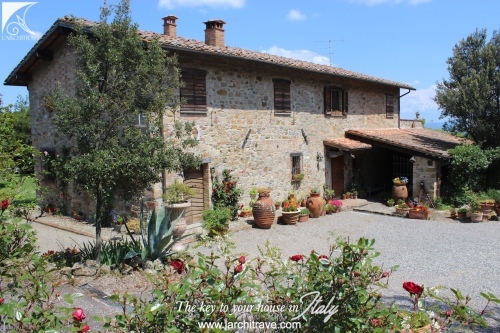 The villa (240 sqm) is presented in immaculate condition and set in 7,000 square meters of land. 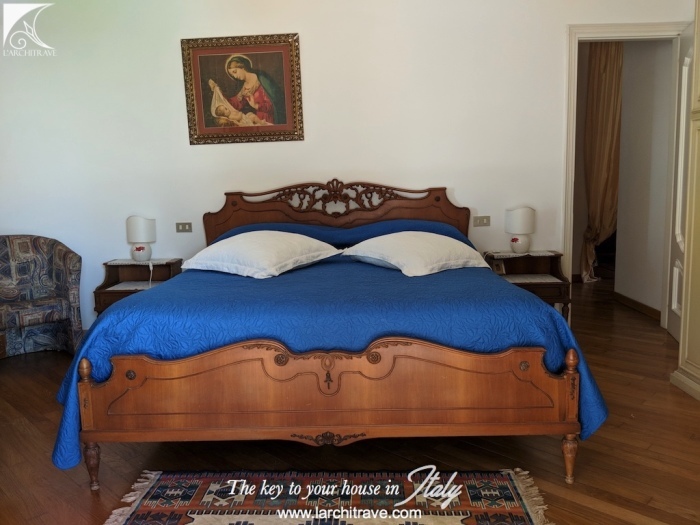 The main accommodation is on two levels with a separate independent guest apartment on the lower ground floor. 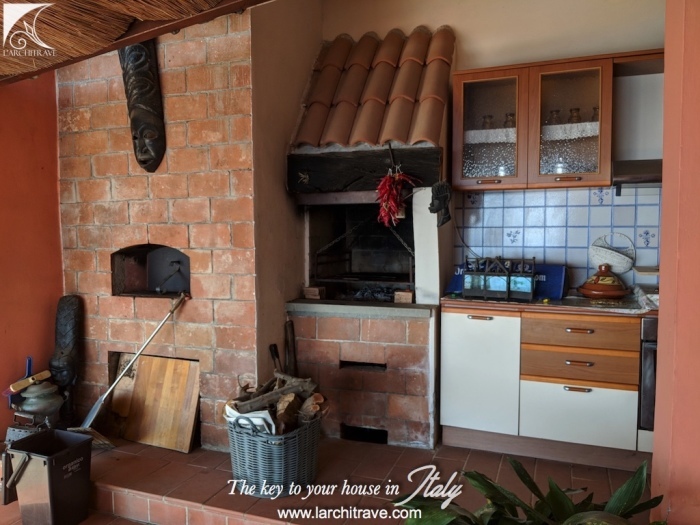 There is a large terrace, partly covered to provide shade for outdoor dining, with a summer kitchen including a pizza oven. Magnificent sea views. 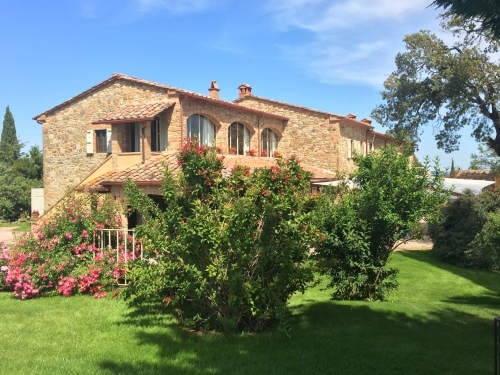 The garden is planted with mature trees including an olive grove. 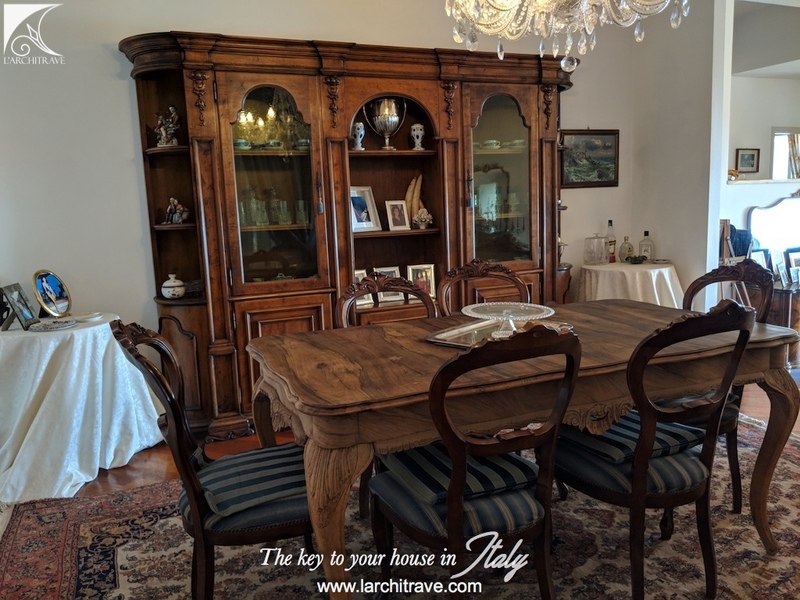 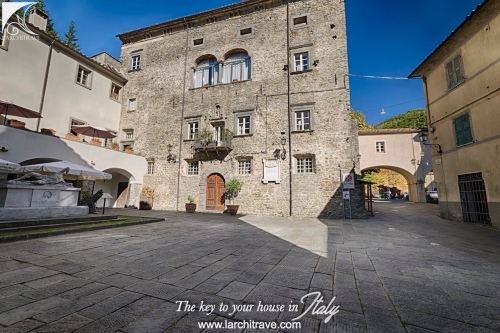 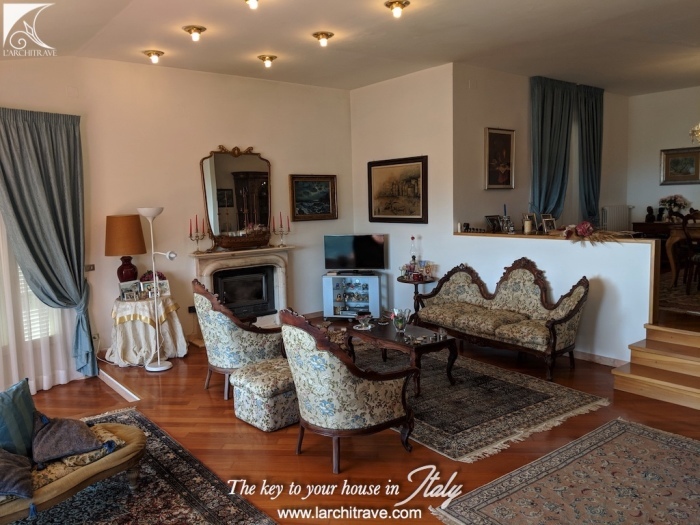 Entrance to the villa into an spacious hallway with two steps down to the split level very large living room with picture windows and stunning panorama. 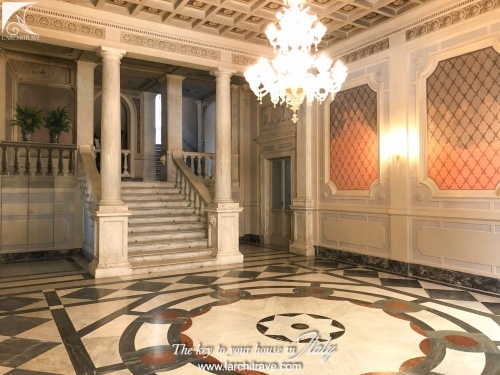 Marble floors. 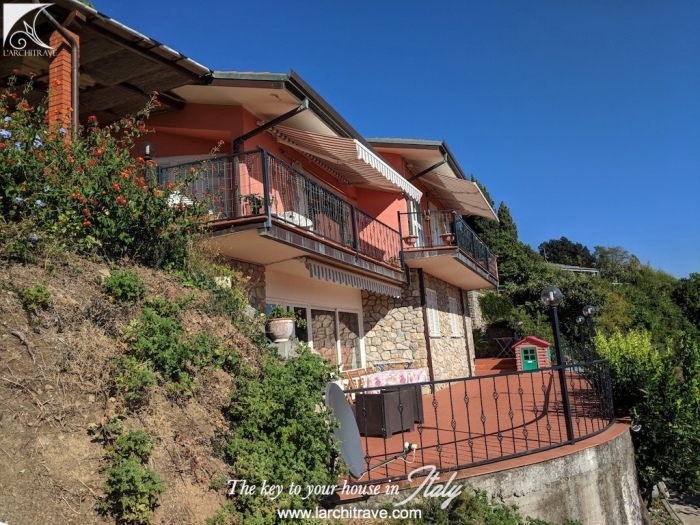 upstairs there is a bedroom with en suite bathroom and opening onto a private terrace, bedroom with en suite WC and terrace, further 2 bedrooms and a large bathroom with bath, store room. The lower ground floor is self-contained and is accessed from a private terrace to an open plan living room/kitchen, 2 bedrooms and bathroom. 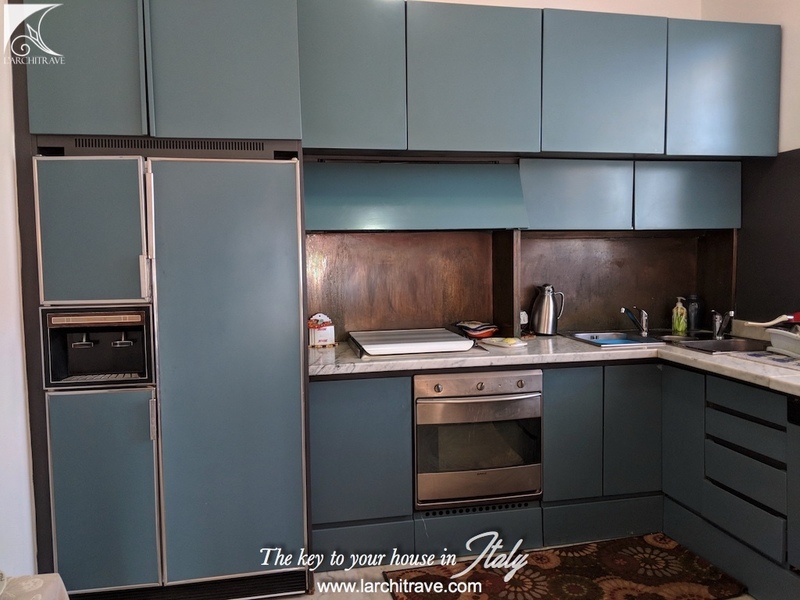 Laundry room and boiler room. 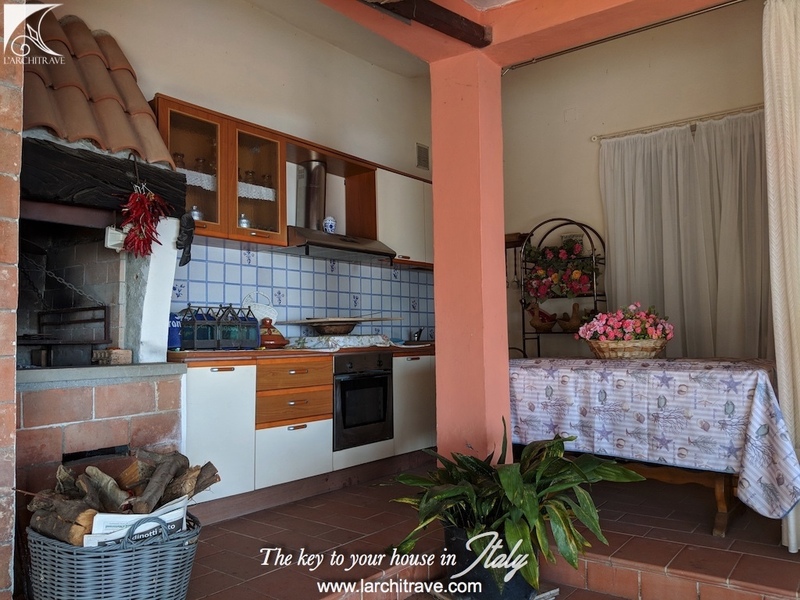 The villa is well appointed with services and has solar panels. Access to the villa is along a narrow and steep lane to a private gate.